Japanese researchers have successfully developed the world’s first in-wheel motor system for electric vehicles that transmits power wirelessly to run motors incorporated in each wheel. 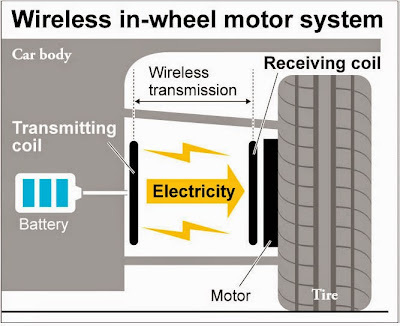 Hiroshi Fujimoto, an associate professor at the University of Tokyo specializing in electric vehicle control, and other researchers ran a vehicle equipped with the new system that transmits electricity wirelessly from an onboard power source to a coil attached to the wheel hubs. 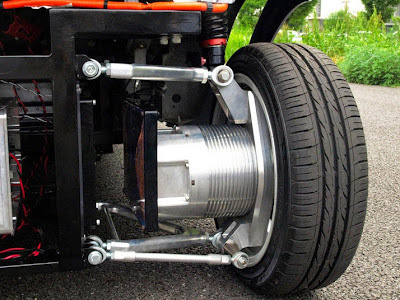 Compared with conventional electric vehicles, the in-wheel motor model does not require a drive shaft, a component that takes power from a single source and mechanically transfers it to all the wheels to drive them. Thus, a car using the system could be built lighter and require less energy. Acceleration and braking for each wheel can also be controlled, which would help prevent mishaps such as skids. Current cars using in-wheel motors need wires to transmit electricity. The complex wiring distribution and its susceptibility to shorting out have remained a hurdle in developing such a vehicle for practical use. 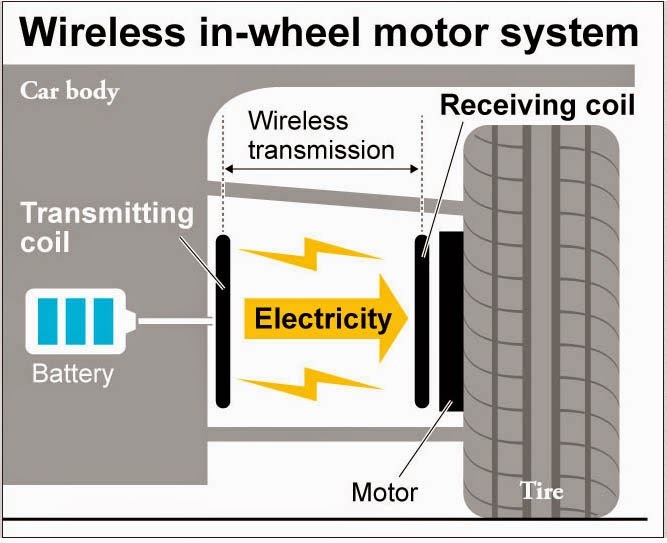 The research team’s wireless system transmits the electricity stored in the vehicle’s batteries through a transmitting coil to a receiving coil in the wheel hub, a distance of 10 centimeters. The rear-wheel-drive prototype car can, in theory, run at maximum 75 kph, the researchers said.